Looking to update your dreary floor coatings? Well, help is on the way. How about some marvelous concrete floors? Perhaps some reflector enhancer flooring? ​Rochester Epoxy Flooring has gained popularity in Rochester, NY and the surrounding areas as the best alternative to the usual old floor coatings. We are dedicated to providing Rochester, NY residences with professional floor coatings of the highest quality at truly competitive prices. Our crew is the most trusted epoxy flooring contractor in the area. We have this superior level of knowledge due to consistent training in the latest techniques in floor coatings and concrete resurfacing. In addition to the usual flooring coatings, we specialize in flooring materials that are good for your floors and the environment. Using our knowledge of the local flooring industry, we help you find the lowest possible prices on the quality flooring you want. The difference between us and other flooring contractors is that we are stay on top of your project from beginning to end. We are your premier source for all of your epoxy flooring needs. We specialize in every aspect of epoxy and concrete flooring including resurfacing, coating, and refinishing. 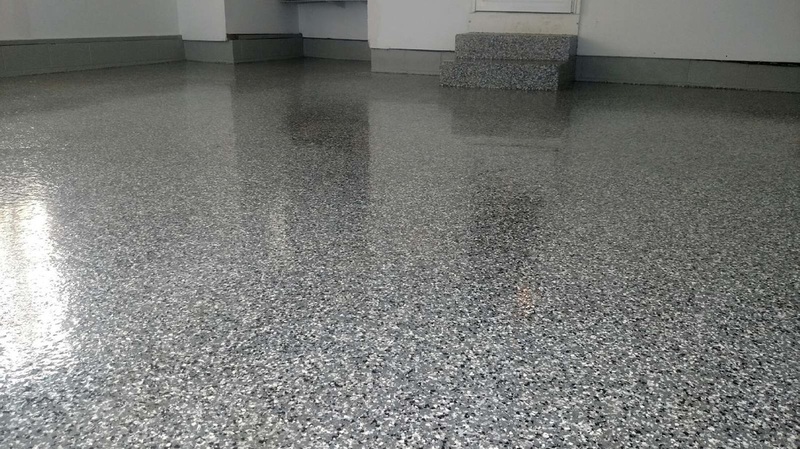 Whether you need to get your garage floor resurfaced, you need to get the floor resurfaced in your school’s lunchroom, or you are looking to start a new flooring remodeling project, we are here to help you every step of the way. We are licensed and insured for residential, industrial, and commercial floor coating. Our professional installers and designers help you select the floor coating that is perfect for you. Our aim is to help you achieve the elegance and beauty in your property that you have always dreamed of. Adding hardwood floors is an excellent way to increase the beauty and elegance of your residence or business and can add long lasting value. At Rochester Epoxy Flooring, we understand how important your property is, and we are devoted to providing our customers with excellent service and high quality workmanship. We provide estimates during your consultation. Our knowledgeable representatives bring our showroom to your home or business, so you can see the different kinds of floor coatings, designs, and services that are available. By providing a vast number of options, we can help you select the perfect flooring for any room in your commercial or residential property. Our installers can remove any previous flooring coating to make sure your new coating lays smooth and even. We want your floor to look as they did when you first got them or even better. If you want to get that glossy, shiny look back to your flooring, pick Rochester Epoxy Flooring.